Amari Orchid Pattaya’s Mantra Restaurant & Bar came 6th best fine dining restaurant in TripAdvisors list of travellers’ favourites in Thailand. Thailand offers a diverse range of dining options and whilst it’s predominantly renowned for authentic street food favourites such as Pad Thai and Som Tam, to Moo Ping (Pork Skewers) and Mango Sticky Rice. If you’re looking for the best fine dining experiences, The Land of Smiles certainly doesn’t disappoint either! With plenty of outstanding restaurants to choose from, whether it’s for business or pleasure, there’s pretty much every type of fine cuisine you could ever wish for. 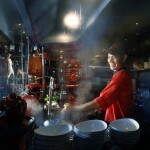 From International and Asian Fusion, to authentic Thai, French and Italian, each restaurant has its own unique atmosphere. 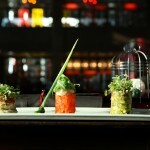 Where can I find the best fine dining restaurants? With such a wide variety to choose from, we know just how difficult it can sometimes be to make a decision. 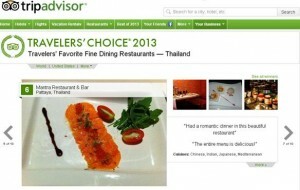 That’s why we like TripAdvisor’s recently released Travellers’ Choice Awards for Thailand’s best fine dining restaurants (you can find the list here), covering all regions of the country from Bangkok and Pattaya, to Phuket, Krabi and Koh Samui. What makes these rewards so great is that they’re determined by people like you — everyday travellers, who experience ‘the real thing’, not food critics who are given a ‘one-off’ VIP experience that you’re likely to never get. That’s why we’re particularly happy about Mantra Restaurant & Bar (one of our restaurants) at Amari Pattaya being voted as the 4th best fine dining restaurant in their Top 10 list! 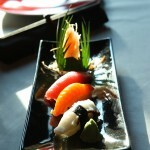 Your fine dining experience starts here! 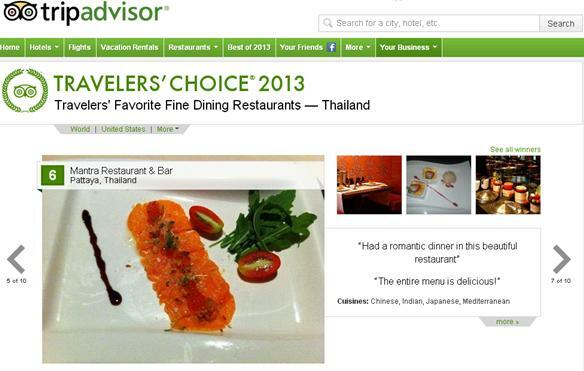 If you happen to find yourself in Pattaya, we (and lots of people on TripAdvisor!) definitely recommend checking it out! It offers everything a full range of cuisines spanning East-to-West, from Japanese, Indian, Chinese, Mediterranean, as well as international goodies (you can find the menu here). 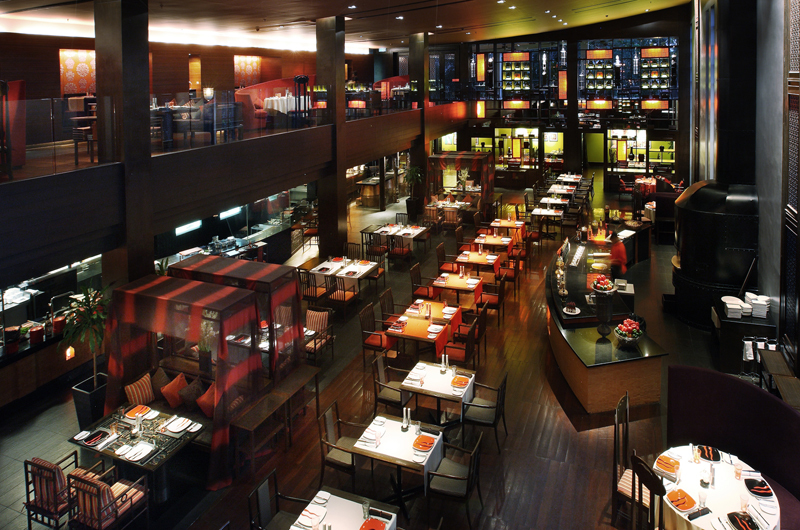 Aside from the à la carte menu, every Sunday they have an immensely popular Sunday Brunch (reservations recommended! ), which is an all-you-can-eat endeavour. 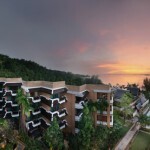 It starts from 11:00 until 15:00 and will set you back 1,590+ Baht, or 2,840+ Baht inclusive of a wine buffet. 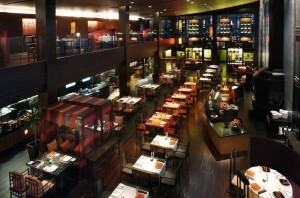 The Main Theatre is chic and stylish and surrounded by live-cooking stations to add to atmosphere. Aside from the Main Theatre (pictured above), they also have special tables suited for a more romantic feel, as well as large tables for social gatherings or business events. 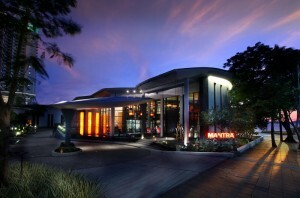 Since Mantra Restaurant & Bar is chic, smart and stylish, is has a dress code — smart casual. To be safe, avoid shorts, tank tops, flip-flops and sandals! If you’re unsure you can give them a call on +66 (0) 3842 9591 to be safe! P.S. 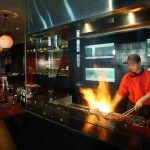 Here’s a gallery of snapshots from the restaurant we thought you might like! 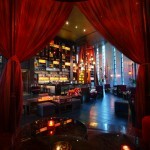 The private tables elevate your fine dining experience. 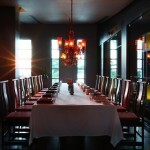 Large tables are ideal for large-scale gatherings.